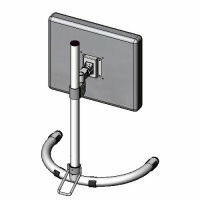 Sallas - single mount solutions offer lightweight, of high quality appearance and competitively priced. The design incorporates display tilt and rotation. 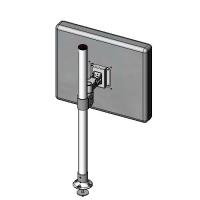 Ruggedly constructed steel pole and light weight aluminum alloy pole clamp and pivot head mounting parts with quality surface coating. . Display side to side rotation 180°. 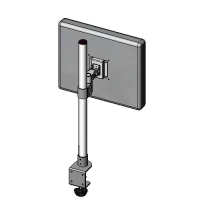 Counter force balanced monitor tilt 87° up or 25° down from vertical plane.